Here at ICE, we believe everyone is unique and as an extension of that.. so is their desk! We’ve decided to showcase one members desk each week to highlight both the differences and similarities that make ICE such a diverse place to work! 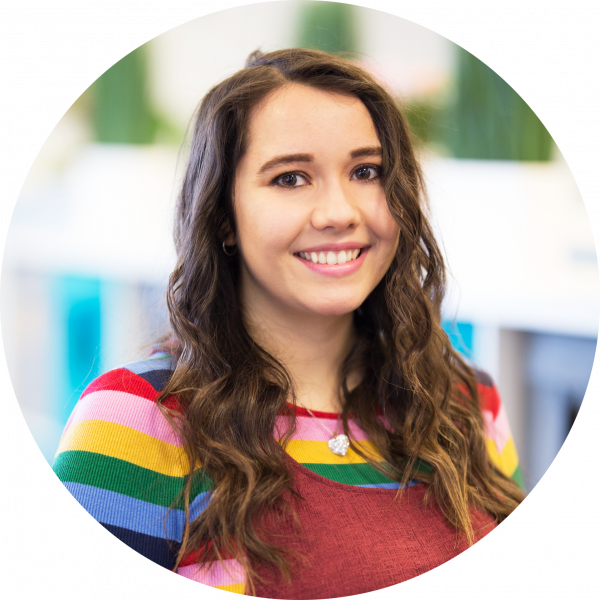 I’m the Content Marketing Assistant – I run all of our social media, write the newsletter, publish blog articles, and help out with PR and events. I also do some editing, a bit of graphic design and general copywriting. We have our own little Nudjed office! What’s the current status of your desk? Is it neat & tidy or ‘organised chaos’? What other hardware do you use? We back everything up on Time Machine external hard drives, and we have an extremely temperamental office printer. Google Drive for storing and sharing documents. Personally, I use Tweetdeck, Edgar, Mailchimp, VCB, RiteTag and Buffer to make my job easier! What’s your drink of choice while working? We always have jugs of water in the office, but I’ve got a bit more of a sweet tooth so I like sparkling water flavoured with fruit. We have an office Spotify playlist, but it depends who’s in charge that day! When I have control of the speakers there’s a lot of hip hop, soul, and as much pop punk as I can get away with. We’ve also been listening to the whole of R Kelly’s ‘Trapped In The Closet’ lately. What personal/professional keepsakes do you keep on your desk? What about toys or fun stuff? The team has such a weird sense of humour that we sort of make our own entertainment. Last week we replaced one of the developers with a tangerine that had a face drawn on it for a little while; tech-based humour is also very popular. The number of completely ridiculous in-jokes is crazy – I don’t think any of them would make sense if I tried to explain them though! What’s your favourite thing about your desk? I’m right in the middle of everything, so whenever I need help I just annoy everyone until it’s sorted. It’s pretty sweet.